Google has filed a patent application for a wearable medical device, able to use nanoparticles to detect and treat illnesses such as cancer. For those wishing to protect their health and extend their lifespan, a futuristic medical device may become available in the next several years. Details of this wearable technology – known as a Nanoparticle Phoresis – have been published online by Google, via the World Intellectual Property Organisation. 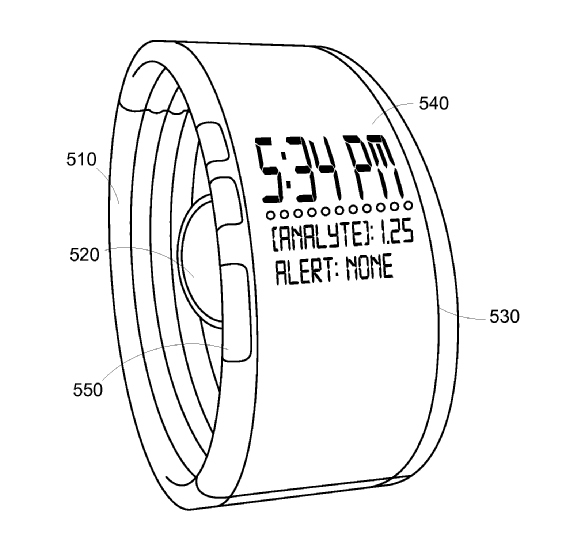 The patent application describes a strap, or band, mounted on the lower arm. Similar in appearance to a wristwatch, it would “automatically modify or destroy one or more targets in the blood that have an adverse health effect.” This would be achieved by beaming energy into blood vessels to stimulate cells and molecules, increasing their effectiveness at fighting diseases. It could even be used on synthetic nanoparticles. Millions of these tiny objects would be introduced into the wearer’s bloodstream, then activated by magnets in the wristband and directed to specific locations. Analysts forecast that wearable technology will see huge growth in the coming years, with unit sales potentially reaching into the hundreds of millions. This new device from Google – if successfully developed – could become part of that rapidly evolving ecosystem. Initially aimed at patients who are seriously ill, this product (or its derivatives) could also be offered to mainstream consumers who aren’t necessarily in bad health, but wish to monitor and improve their well-being. For those with a needle phobia, injections might be possible using high-pressure jets. Although the patent itself makes no mention of this, we can speculate that such a procedure would eventually be incorporated into a wristwatch form factor. Similar to the “hypospray” on Star Trek, these jets would ensure that the skin is not punctured. High-pressure jet injection was covered on our blog in May 2012. Looking further ahead, the prospects become even more exciting. Bill Maris – who helped form Google Calico – this month stated his belief that humans will live to be many centuries old in the future, while today’s cancer treatments will seem “primitive” within just 20 years. His comments echo those of futurist and inventor Ray Kurzweil, also employed at Google and currently involved in AI research for the company. Kurzweil predicts that nanoparticles will be superseded by nanobots – small and compact enough to feature motors, sensors and other tools, allowing them to be controlled with extreme precision directly inside cells. If this idea sounds like science fiction, then consider this: a handheld smartphone today contains more processing power than a room-sized supercomputer of the 1980s. With ongoing advances in miniaturisation, together with new materials such as graphene, the future trend seems inevitable. As humans become ever more dependent on technology, our bodies will gradually begin to incorporate these and similar devices on a permanent basis. Later in the 21st century, the line between man and machine could become blurred.